The NFU dairy team has set up a ‘Proud of Dairy’ campaign to promote the health benefits of dairy products and the high welfare of British cows. The initiative has been created to give dairy farmers an outlet to showcase what they are most proud of about their work. Michael Oakes, chair of the NFU’s dairy board, said: “The NFU has been trying to encourage our membership to send us 30 second video clips of why they are proud to be involved with dairy. “The videos can be about anything. The landscape they live in, the community they farm in, the welfare of the cows and the calves or the quality of the milk. “If they do not want to send anything to the NFU, they can just film themselves and put the videos on social media using the hashtag #ProudOfDairy. “Our biggest strength is real farmers, real people saying why they farm. Let’s make as much positive noise as possible. The campaign was launched as August 22 was declared the first ever ‘World Plant Milk Day’. Leading UK vegan and animal organisations ProVeg UK, Plant Based News, Animal Aid, Veganuary and Viva! have organised the event, which will take place on social media using the hashtags #WorldPlantMilkDay and #PostMilkEra. Groups of supporters will also be door-dropping, holding information stalls with free materials, handing out free samples of milk alternatives and leafletting outside coffee shops to encourage dairy-free choices. They plan to use the day to show the general public the dairy industry is ‘cruel, outdated and unnecessary’, as well as linking milk to acne, cancer and diabetes. 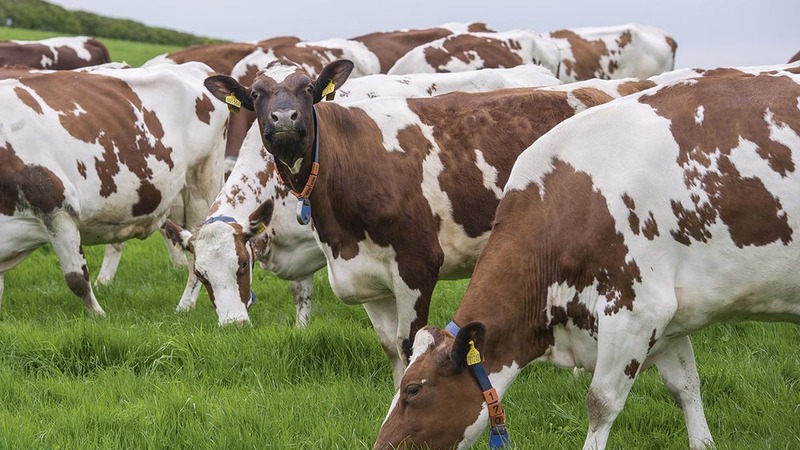 Jimmy Pierson, director of ProVeg UK, said: “The first ever World Plant Milk Day ushers in the start of a new post-milk era in which everyone makes healthier, more compassionate food choices. “Whether it is oat, almond, soya or coconut, there are plant milks for every taste, for every cup of tea and every bowl of cereal. From the editor: Come on vegans, isn't it about time we had a rational debate?